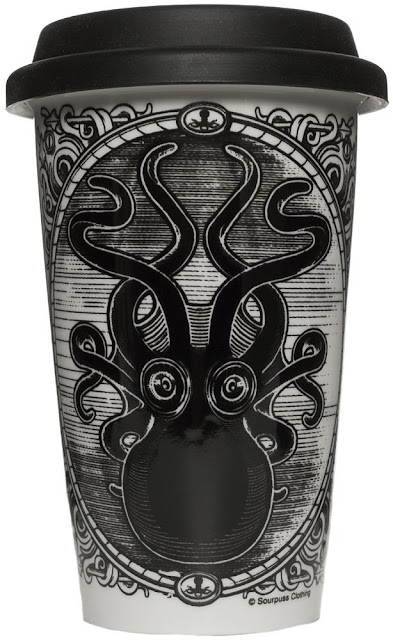 Steampunk enthusiasts might enjoy drinking coffee from this Kraken tumbler. 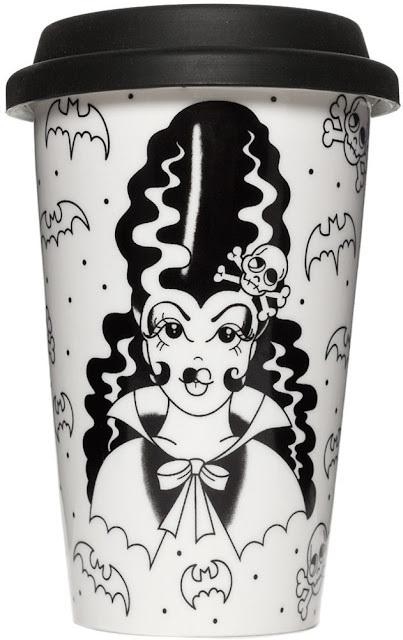 Perhaps spiked with a bit of Kraken Rum on cold days when one isn't driving or supervising small children? I love the bratty look on the face of this Frankengal tumbler! 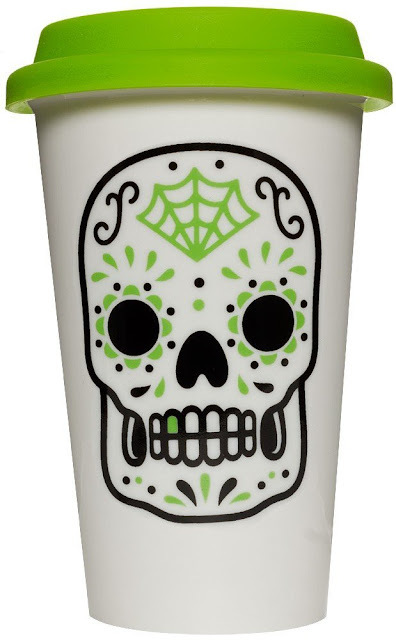 Here's a slightly spooky, adorable sugar skull tumbler. Not very dark, I admit! 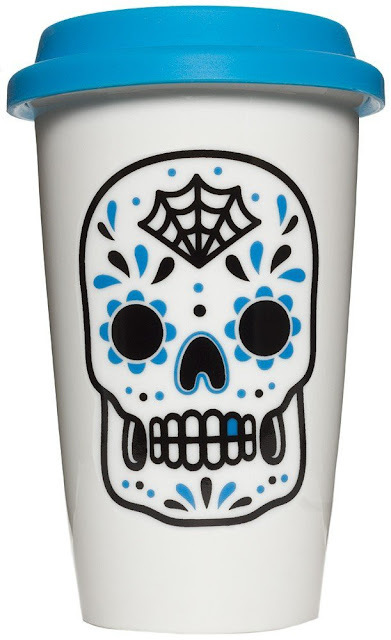 The sugar skull tumbler also comes in blue.